Marriage is the ultimate expression of God’s image to the world and a picture of His love for His church. God-centered marriages between a man and woman exist to refine spouses to look more like Jesus and act as the foundation for healthy families. Every marriage has a unique purpose that God is calling you towards together. We want to equip our marriages with the necessary tools to help you navigate your relationship. Whether you are engaged, building your marriage, or walking through a difficult place, we have something for you. Joining a life group and being in community together is one of the best ways for strong marriages to exist and be encouraged. We have several life groups for married couples to join on Sunday mornings as well as during the week. In Marriage Mentoring, we pair certified mentor couples, trained and equipped in material created by the local non-profit Strong Marriages, with couples looking for marital enrichment, crisis management, or help through a difficult season. The couples walk alongside of each other for one year using marriage curriculum designed to infuse the marriage with Scripture, wisdom, and encouragement to pursue their God-given purpose as a married couple. Sometimes we go through seasons that cause deep distress and create serious struggles in our marriages. Fellowship has several pastors that meet with and equip our married couples through hard times. If you, your spouse, or both of you have a pastoral counseling need, please contact us and we will work to get you connected to the right next step for you. This is an 8-week class for couples considering marriage or who are engaged. 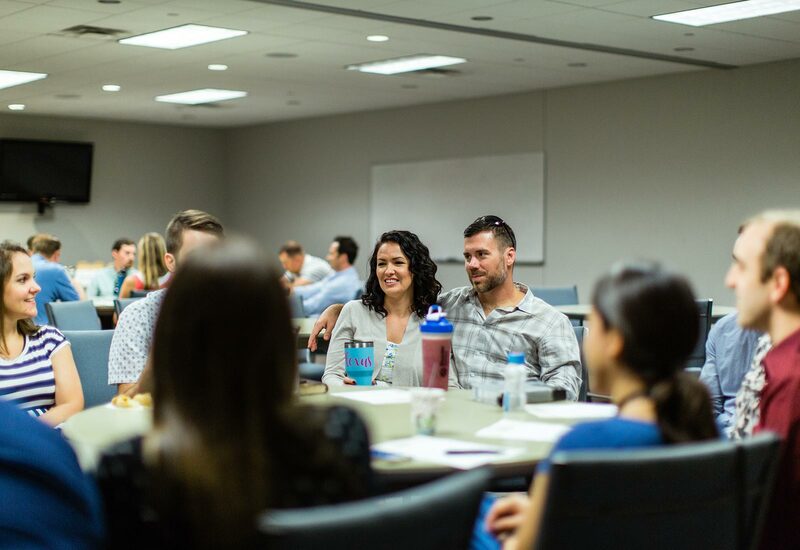 Class sessions cover biblical and practical perspectives on topics like God’s purpose for marriage, marital expectations, conflict & communication, finances, sexual intimacy, and more.